The Montreal band Arcade Fire is stepping into the ring for its new North American tour, Infinite Content. The art direction, show design and original video content production for this highly anticipated tour is spearheaded by Moment Factory, in close collaboration with the chart-topping band. 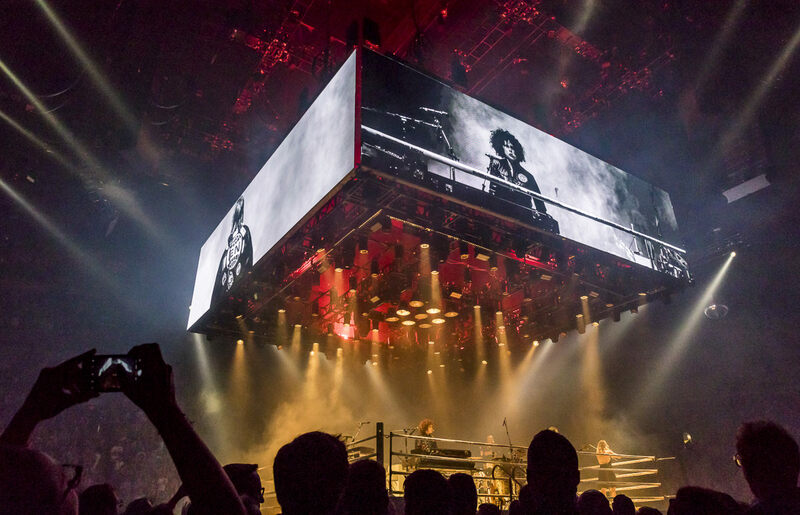 “Win Butler came up with the original idea of designing the stage like a boxing ring, explains Tarik Mikou, the tour’s creative director from Moment Factory. 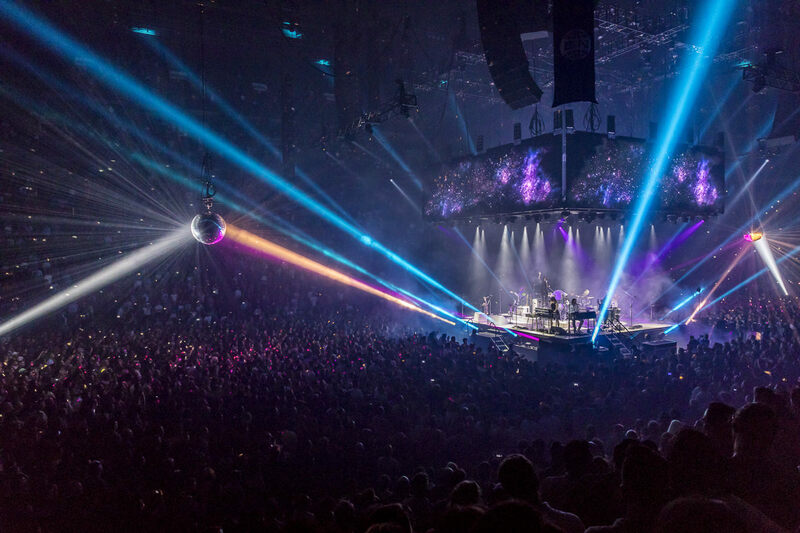 We took that idea and pushed it as far as possible, both from the point of view of the show design and the content creation.” The entire show was developed around a central stage designed to look like a boxing ring, with four giant screens hanging from the ceiling to create an extension of the stage. The giant screens are fed with 2D and 3D content in real time, augmented with effects that reflect the spirit of the band’s new album Everything Now. We also added dynamic content, which gives the band the chance to connect with fans in a unique way, by tying into the place where they’re playing and the current events there. 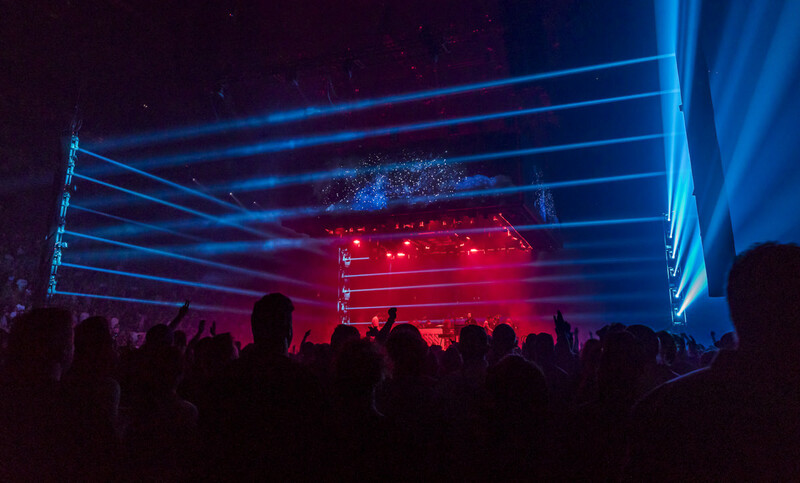 The 360-degree interactive stage not only ensures that every spectator in the crowd will enjoy the show, but it also amplifies the physical and visceral connection between the band and their fans. Every element of the show was designed to immerse spectators in the captivating world of a huge sporting event. 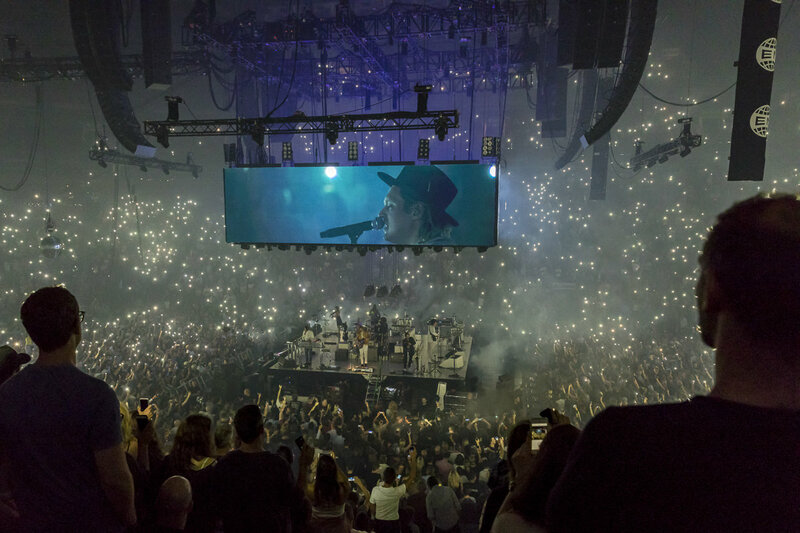 The atmosphere encompasses the high-octane adrenaline of a fight, the festive wonder of an epic concert and the iconic whimsy imagination for which Arcade Fire is known.